As Donald Trump and his abused Keebler elf in the Justice Department, Jeff Sessions, work double time to pander to shore up Trump’s support among law enforcement officials, the administration is now actively blocking fundamental, hard-fought reform of police departments found to have engaged in violent, abusive and unconstitutional behavior against citizens in their jurisdictions, the majority of whom are black and brown. Of course, ground zero for this purge is Chicago, the conservative’s ace “race card,” whose homicide rate is used to discredit everything from Barack Obama to Black Lives Matter. According to the Huffington Post, the Trump administration will attempt to block an agreement between the city of Chicago and the state of Illinois to reform the embattled Chicago Police Department, Attorney General Jeff Sessions announced on Tuesday. The Justice Department’s 2017 Chicago police investigation―the largest ever federal probe of a city’s police force―found that “broad, fundamental reform” was needed in Chicago. The report, issued by the Justice Department’s Civil Rights Division and released near the end of Barack Obama’s presidency, said that only independent monitoring could bring about reform. So even though “state’s rights” is a rallying cry for conservatives, that doesn’t seem to apply to reforming abusive police departments. In a statement Tuesday, Sessions suggested that a previous agreement between Chicago and the American Civil Liberties Union was responsible for a spike in murders in the Chicago. “Chicago’s agreement with the ACLU in late 2015 dramatically undercut proactive policing in the city and kicked off perhaps the greatest surge in murder ever suffered by a major American city, with homicides increasing more than 57 percent the very next year,” said Sessions. “Now the city’s leaders are seeking to enter into another agreement. It is imperative that the city not repeat the mistakes of the past—the safety of Chicago depends on it. This recent move by Sessions’ DOJ is part of what seems to be a new tactic by Trump to garner support from law enforcement by throwing them a bone (or our bones). Just days ago, Trump gave a speech before the annual convention of the International Association of Chiefs of Police in Orlando, Fla., and raised the name of Chicago. As reported by The Root, Trump told the officers that Chicago police should again implement a “stop and frisk” policy as an answer to what seems to be an intractable gun violence problem; he also directed Sessions’ DOJ to go visit Chicago immediately. *Aside: Given that one of Chicago’s most famous native sons, Kanye West, is heading to the White House tomorrow to talk criminal justice reform, perhaps he can let his best bud know that his mandate is misguided and dangerous. Trump made his remarks days after Chicago officer Jason Van Dyke was actually charged in the 2014 murder of 17-year-old Laquan McDonald. If Donald Trump can watch that boy on the ground get shot 16 times and somehow tie that to a need to resume “Stop and Frisk,” then you know it’s beyond “reform.” It is an all-out war on black and brown people. So we know this was a long time coming. And people, we’d better get ready. 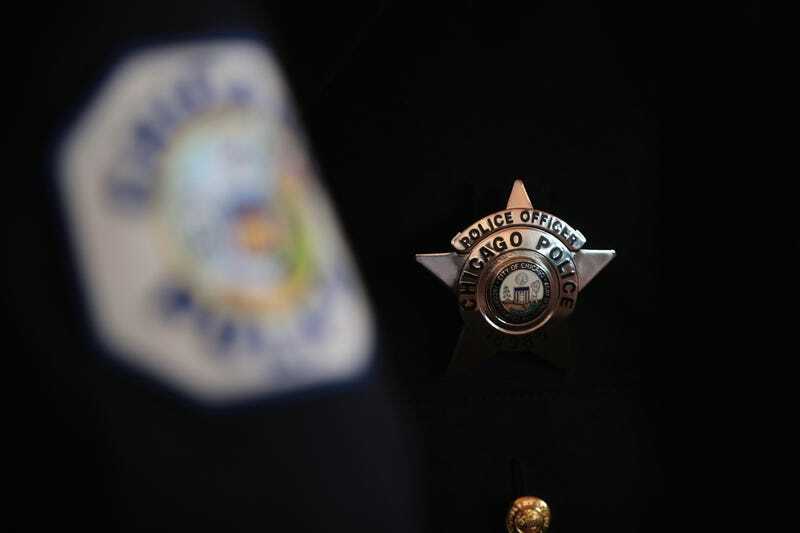 In Chicago, Another Federal Investigation of Police, but Will It Really Matter?